Like humans, dogs love to find ways to beat the heat when the temperature rises. While most don't realize it, excessive exposure to the summer sun can lead to overheating and heatstroke. Sure, you could easily keep your canine companion cooped up in an air-conditioned home all day to keep them safe. But why not let them have a little fun while they cool off? A dip in a pool can let your dog expend some energy while keeping their core body temperature low and comfortable. If you don't have a pool or lake in your backyard, don't fret. There are a number of great dog pools on the market. Unlike large pools designed for human use, dog pools don't have to be a permanent fixture on your property. They're small, relatively easy to set up or tear down based on weather conditions, and specifically designed to accommodate your furry friend. Here's a collection of some of the best dog pools money can buy. If you're looking for a pool you can take on the go, consider this foldable model from FrontPet. It's made of durable PVC material. A paneled round design provides stability and strength while making the unit portable. The pool collapses and folds up to a fraction of the size. When folded, the pool measures approximately 12 inches wide by 13 inches long. The pool is available in three different sizes. The large size measures 50 inches in diameter, providing your pooch with plenty of room to play. It has a depth of 12 inches. The bottom is also made of PVC and designed to prevent rips or punctures. A sealed drain on the side makes quick work of emptying the pool. This affordable dog poolis tough and easy to use. It's made of strong PVC and features double-layer construction. 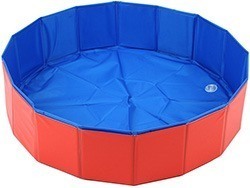 The outer red layer adds strength and integrity to the pool so that you don't have to worry about the walls collapsing. The inner layer is tough enough to withstand sharp claws and heavy play. The two layers are sealed tightly to achieve a leak-proof design. It's also capable of being folded up. The drain is installed at the bottom of the pool. The pool measures approximately 32 inches in diameter and 8 inches deep. This smaller pool is perfect for small dogs and puppies. 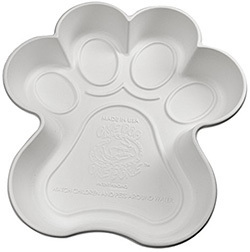 It's in the shape of a dog paw and is made of strong polyurethane. The unit is molded as a single piece for strength. Despite the durable material, the pool is relatively flexible so that you can easily lift it and drain the water. It has a clean white interior and raised accents. The accents complement the paw design while giving your pooch something to grip onto as they move through the pool. The product measures approximately 38 inches long by 39 inches wide. It has a maximum depth of 6 inches. In total, the pool can hold roughly 20 gallons of water. 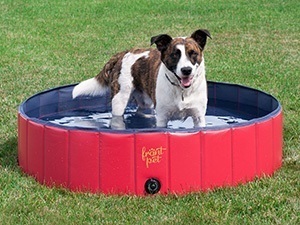 From All Your Paws is this durable paddling pool.. When filled, the pool measures roughly 47 inches wide by 12 inches deep. It's made from PVC material and utilizes a foldable design. The various panels work together to provide structural integrity to the sides. The bottom of the pool is also made from PVC. However, it has an anti-slip design. The textured surface prevents slipping so that your pup can have fun and stay safe. The exterior incorporates an attractive blue color that mimics rippled water. The sealed drainage plug features a screw cap to prevent accidental removal by your dog. This option from Petfly can be set up in a just a few minutes. Simply close the drainage plug and fill it with a garden hose. 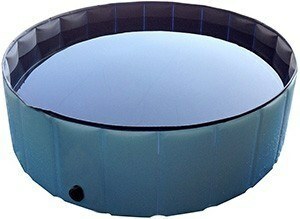 The pool is round and available in two large sizes. The extra large size measures 63 inches in diameter, making it perfect for a large dog or multiple smaller pups. The depth is approximately 11 inches. The manufacturers utilized environmentally-friendly PVC on the sides and bottom. Not only is it safe for your dog, but it's also very resilient. The material is tough but flexible enough to be folded up. Firm panels are enclosed in the PVC. These panels fold up to a compact size for easy storage. If you're searching for the best in luxury and durability, take a look at this bone-shaped pool. It's made from polyurethane, which is used in truck bed liners. The material is strong and resistant to damage from chewing. It's also treated to withstand constant exposure to the sun. The attractive bone shape provides plenty of room to splash around. It's 44 inches wide by 66 inches long. It has a depth of approximately 11 inches. A drainage plug is located on the side of the pool. It's sealed to prevent leaks and features a strong brass cap for protection. Why Buy A Dog Pool? As mentioned earlier, dog pools can be an important tool for keeping your dog safe during the summer. The cool water will allow them to regular their body temperature and avoid overheating. Beyond that, dog pools are a fun alternative to traditional exercise. Swimming is an intense aerobic exercise that works out a variety of muscles in the body. Dogs have innate swimming skills, so they should have no problem jumping right in. Even if they're simply splashing around in shallow waters, they'll be getting some much-needed exercise. If your dog is a bit older or suffers from physical disabilities, a pool may be their best option for getting some exercise. Swimming is easy on the joints because your dog isn't putting any weight on their legs. 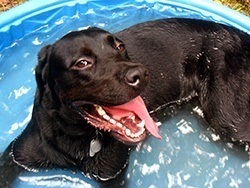 Cool water is also known to soothe arthritis, allowing your dog to get some relief while relaxing. It's a comfortable alternative to taking a traditional walk and can do wonders to your dog's overall health and comfort as they get older. Kiddie pools and doggie pools appear to be very similar at first glance. While you may be inclined to get a simple kiddie pool for your dog, it's best that you invest in something that's specifically made for dogs. Kiddie pools are typically made of thin plastic. They don't need to be designed with durability in mind, as small hands and feet won't do much damage. As a result, dogs are fully capable of destroying them. Dog pools are tough. They're made from high-quality materials that can withstand the strength and voracity of canine swimmers. Not only that, but dogs have claws, teeth, and unpredictable personalities. They could easily gnaw on the walls or accidentally puncture the bottom as they swim. There are also health and sanitization issues to think about. If you have a kiddie pool or large backyard pool that's used by children, it's important that you give your dog a separate swimming spot. Even the most well-groomed pooch will track some dirt and bacteria in the pool. To keep your family safe and your dog happy, it's recommended that you invest in a separate pool designed to meet the needs of dogs. Before you go out and buy the first dog pool you see, there are a few things you need to consider. There's a lot that goes into the overall design and construction of a dog pool. Products will vary from manufacturer to manufacturer, so it's good to take a look at all the details. Furthermore, you need to pair the pool to your dog. You may want to look for specific features based on your dog's size and personality. If you want your investment to last, go with a high-quality material that's thick and resilient. Common materials used include polyurethane, metal, and PVC. Polyurethane is a thick polymer that can be molded into virtually any shape. It's used in a number of applications because of its strength. 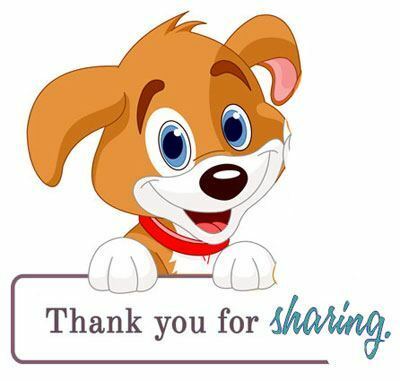 It's great for larger dogs or those with plenty of energy. PVC is a bit thinner. It's flexible enough to be folded up, allowing you to store the pool inside when the temperature drops. Despite its thinner build, the material is resilient enough to last. Metal is the toughest option. They can be treated to add weather and rust protection. These pools are typically a permanent option that's capable of lasting for many years to come. Pools come in a variety of designs. Before you choose a pool, you should consider your dog's size and how they'll use it. If your dog is active and loves to splash around, a small pool just won't do. Measure your dog's height and length to get a better idea of what size you'll need. If you have a smaller dog, you can invest in a pool made for large breeds so that they have plenty of room to swim. When it comes to shape, pools can be made in virtually any shape. 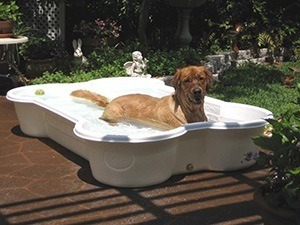 Typically, rectangular pools are adequate for dogs that just want to lounge and splash. If they love to swim, consider a round pool with a wider diameter so that they can swim in a circle. Depth is an important thing to consider. Larger dogs will need an option that's a bit higher to reap the benefits of the pool. This is also true for dogs that want to do any type of swimming. However, depth can affect the pool's overall safety. If you a pooch that tires easily, make sure that your pool isn't deep enough to cover their head if they get tired. Depth and pool height go hand in hand. Your dog needs to be able to get in and out of the pool with ease. Pools with high sides may be difficult for small pups and senior dogs. If that's the case, consider shallower pools or investing in steps and ramps. While filling up a pool is simple, draining it can be a different story if the pool doesn't have the appropriate features. Look for tough drains that are located on the bottom or side of the pool. Pay attention to the quality of the drain. If it's plastic or easy to pull off, you may have issues with a curious dog. 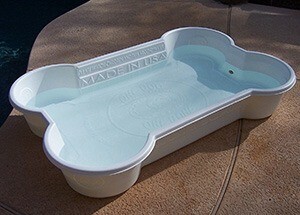 Invest in the comfort and well-being of your dog with a high-quality dog pool. These must-have summer accessories are fun and provide your pooch with a number of benefits. With the range of options on the market, you won't have issues finding the perfect pool for your canine companion.